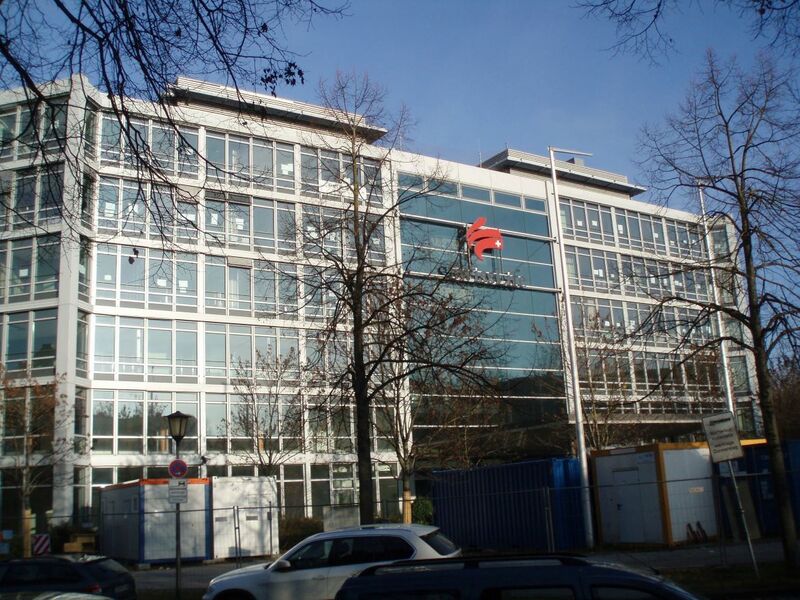 In December 2017, the Steigenberger Hotel Group opened their first hotel in Munich. After an extensive renovation, the former office building turned into a hotel for well-being with a total of 292 rooms and suites, a restaurant and bar as well as a 1,200 square metre conference area. A 300 square meter spa and fitness area invites to relax. 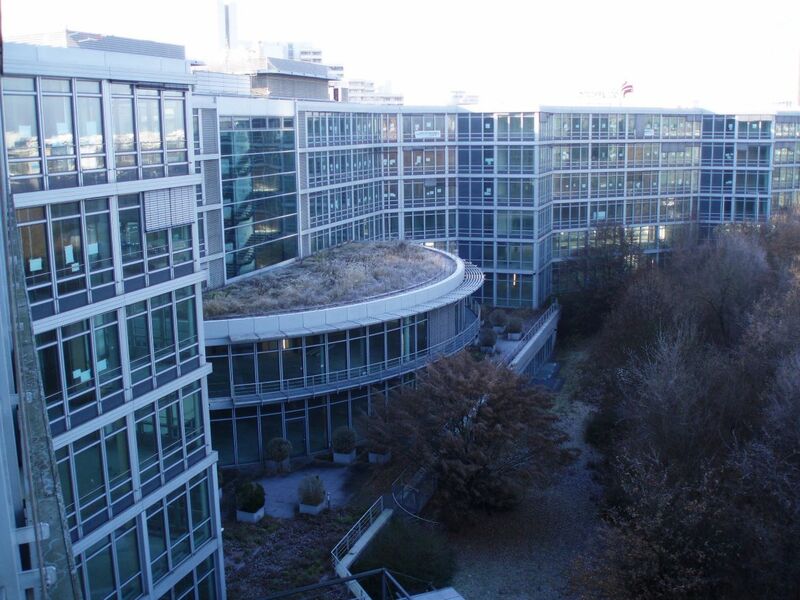 During design and construction, great importance was attached to the optimum climate conditions in the rooms and a hygienically safe potable water installation. The hotel operator placed the highest demands on the specifying engineer and building contractor. The hotel rooms are air-conditioned with the help of fan convectors (fan coils). The rooms are heated via the fan convectors during the cold months and are cooled down during the warm months. This way, ideal climate conditions are provided for the hotel guests and employees at any time of the day. To ensure this, a perfect, energy-efficient and hydraulically balanced heating and cooling system is required. 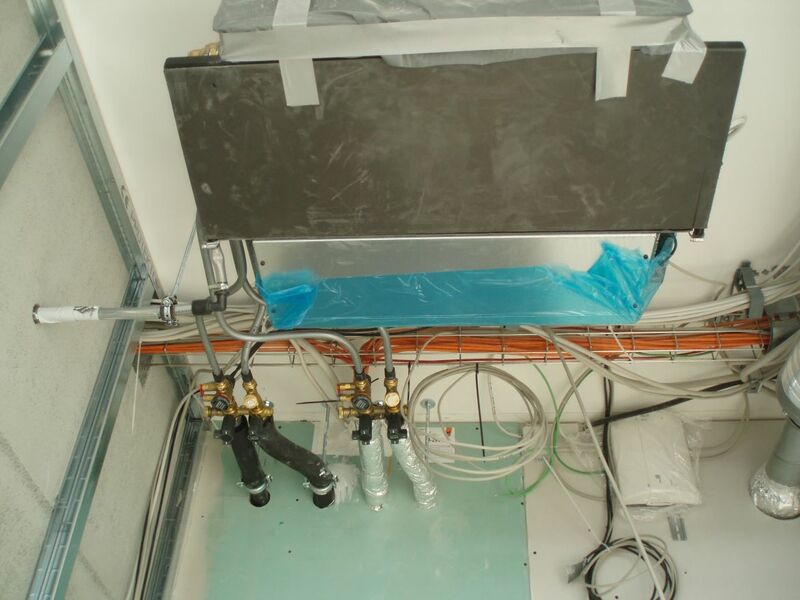 The Oventrop fitting “Flypass 4 TZ” which is connected to the heating and cooling modules in the hotel and conference rooms allows for an optimum and efficient distribution of the energy by a constant flow control. As the Oventrop “Flypass” fitting can be installed in any position, it allows for a flexible installation. 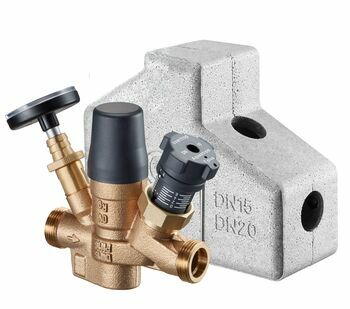 The different components for balancing, isolating, flushing, draining and protection against impurities could be installed quickly and easily by the specialised installer. 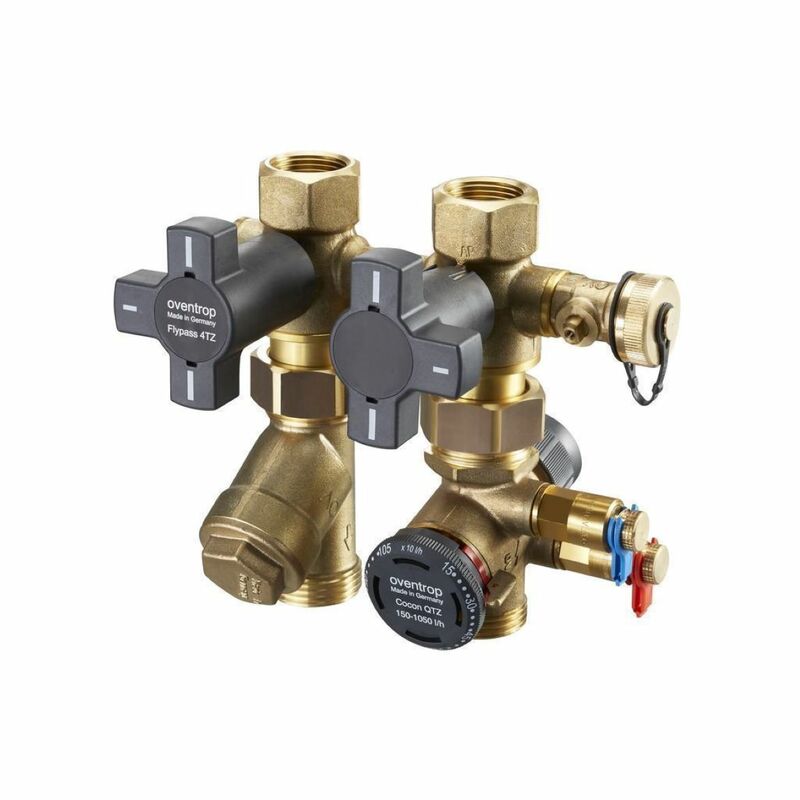 The dynamic pressure independent control valve “Cocon QTZ” avoids an oversupply of the heating and cooling elements and thus overheated or cold rooms during low demand periods. The strainer in the “Flypass” fitting protects the heating and cooling elements against impurities from the pipework. Activation of the respective hydronic circuit according to the heat or cold demand, is carried by an actuator in combination with the pressure independent control valve “Cocon QTZ” and a room thermostat for individual room temperature control. This way, each hotel guest may set his individual room temperature. During refurbishment, the potable water installation was also renewed. Potable water is the most important product for our nutrition and is subject to very strict controls. The installed thermal circulation valves “Aquastrom T plus” of the Oventrop “Aquanova System” guarantee a secure and hygienically safe operation of the potable water system. 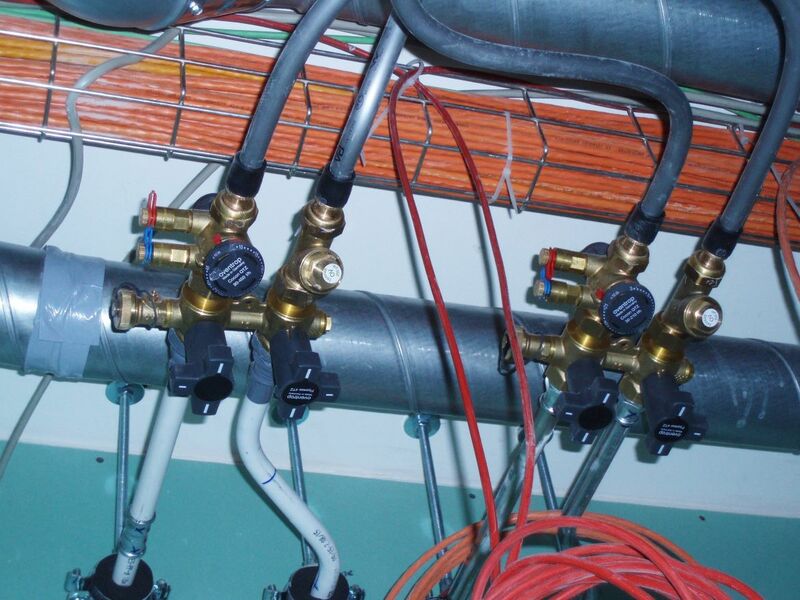 Hydronic balancing of potable water installations also has to be carried out for this purpose. 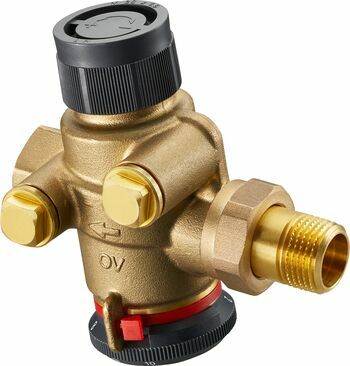 The Oventrop circulation valves without dead zone avoid the stagnation of potable water and undesired temperatures in sections of the system and therefore fulfil all requirements.